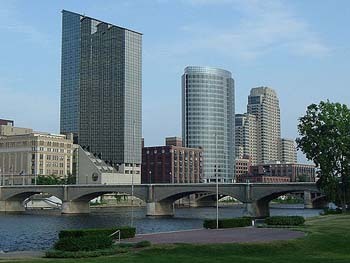 What is the best thing about Grand Rapids, Michigan and why? GRAND RAPIDS, Mich., March 26, 2012 -- Fans of Mac Powell, lead singer of four-time GRAMMY(R) Award-winning band Third Day Band, will be able to ask him questions about being an adoptive parent during a 30-minute Twitter Chat this Friday at 3pm EDT (using hashtag #MACADOPTION via @macpowell). The live Q&A chat is open to all couples whether they have adopted already or are in the early stages of considering adoption. Questions can also be submitted ahead of time at http://www.adoptionjourney.org/share/macpowellchat Read more about this Grand Rapids, Michigan press release. GRAND RAPIDS, Mich., March 2, 2012 -- "Lisbeth Salander, the troubled female in the Oscar-winning film The Girl with the Dragon Tattoo, is exactly the kind of woman that Jesus would invite for coffee," says Ruth Vander Zee, author of the new book Woman Meets Jesus (Edenridge Press). "Salander," says Vander Zee, "may not fit in at most churches but is the type of exploited woman that Jesus would befriend in the face of social and religious criticism." Read more about this Grand Rapids, Michigan press release. This year's football fans gathering at various watch parties will have access to one Super Bowl coach's personal thoughts during halftime. A free downloadable video kit is available to local game watching party organizers which features Super Bowl winning coach Tony Dungy and his wife Lauren. The video message includes a personal appeal to Americans on the subject of the current orphan crisis and adoption. Dungy is involved with The Adoption Journey Project (www.adoptionjourney.org) to help influence more couples to consider adoption. Read more about this Grand Rapids, Michigan press release.